Since I have been doing a lot of WiFi work lately in my house and I also setup a few sites for my church and a local RV park, I realized I have a tool I use that is extremely useful. I’ve actually had it for quite some time now and it’s proven useful for checking signal strength and other WiFi attributes. It’s especially useful if you have multiple access points on the same SSID since your basic laptop can’t really see the separate signals. 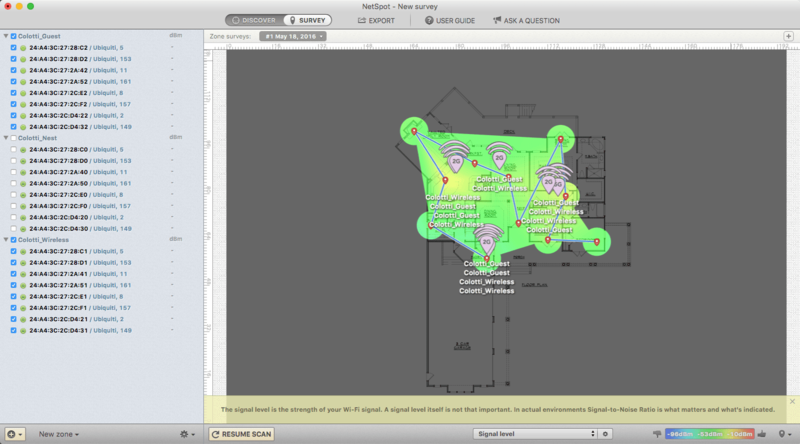 The application I’ve been using is called NetSpot and here is a few hopefully useful things about it. First off the main thing you can use this app for is just scanning and examining the various available signals and their associated values. This alone gives you visibility right into what’s around you. 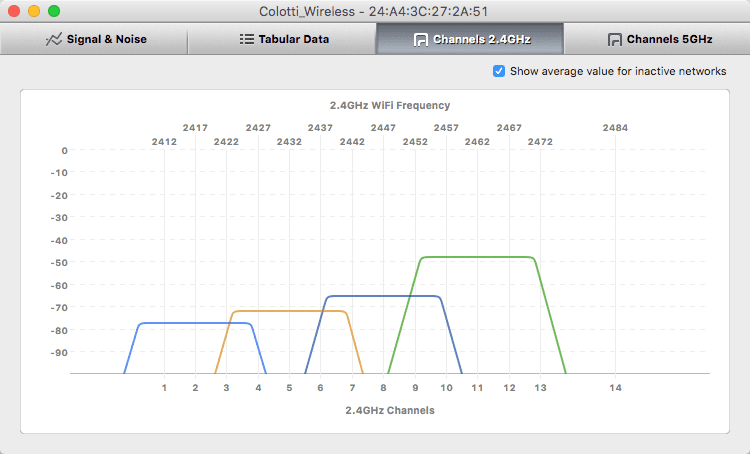 As you can see above you have great visibility into a lot of data about the WiFi networks. In addition you can drill down into each network to get specific information. I had not really played with this until the other day but I can tell you this is pretty cool. 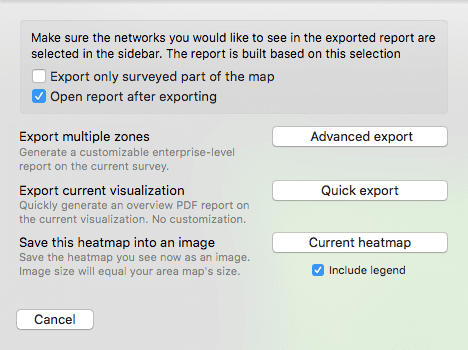 NetSpot gives you the ability to load in a map, set the scale, and then walk around the area scanning at different locations. 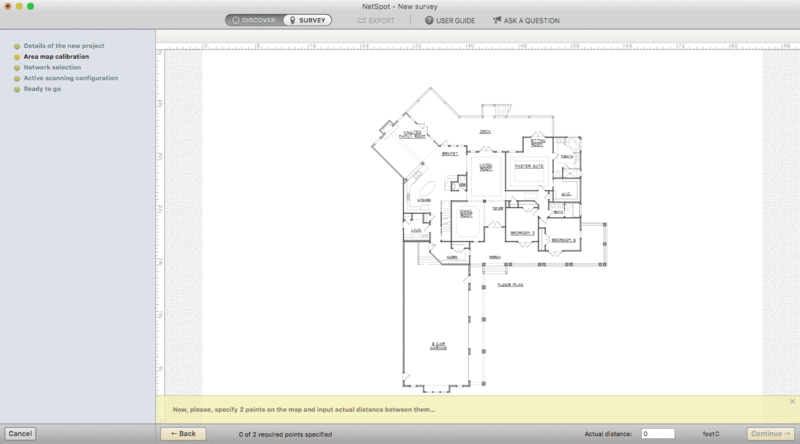 You can choose from any number of file formats, and in my case I had a PDF of my house from when it was designed less any dimension lines. I actually use this same file in the Ubiquiti Unifi Controller maps. Finally you can export the data so use later or send to a customer. I honestly forgot how much I use this tool both at home and when on the road. Sometimes I just use it to see what’s around me, but the application does have a lot of nice tools you can leverage. 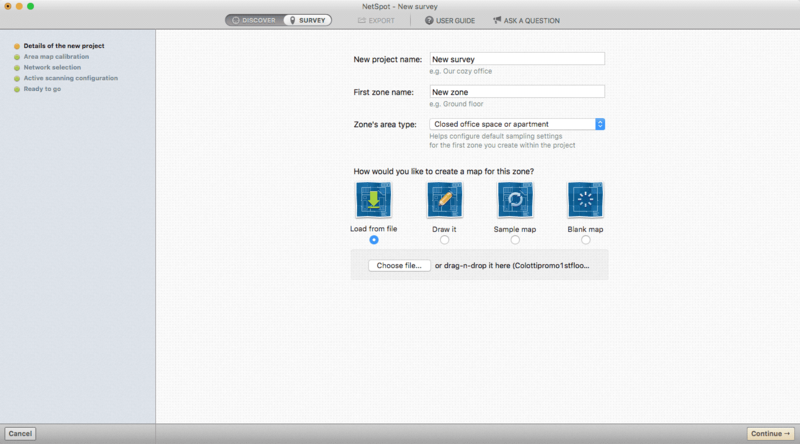 NetSpot has a free version with some limited features and longer refresh and there is a paid version. You should download it and try it out. 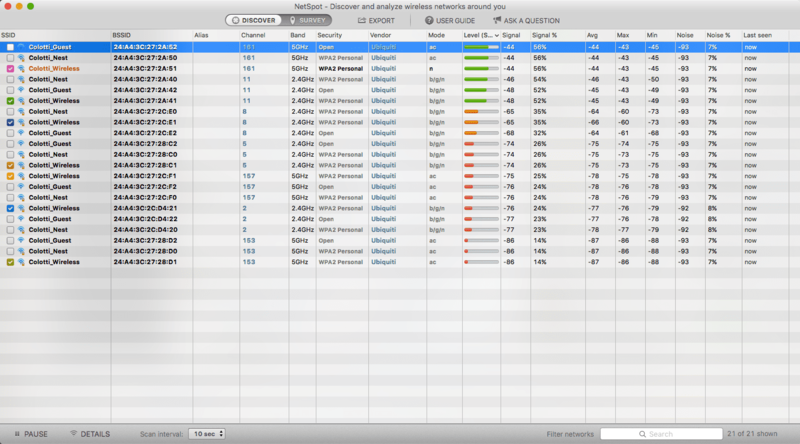 I know I have told a few other people about it and they used it working on new WiFi setups and said it helped greatly. Great article, thank you! Been meaning to right something up similar for some months, ever since I heard about Netspot (the Windows version) and started using it. Now I know where to point folks!